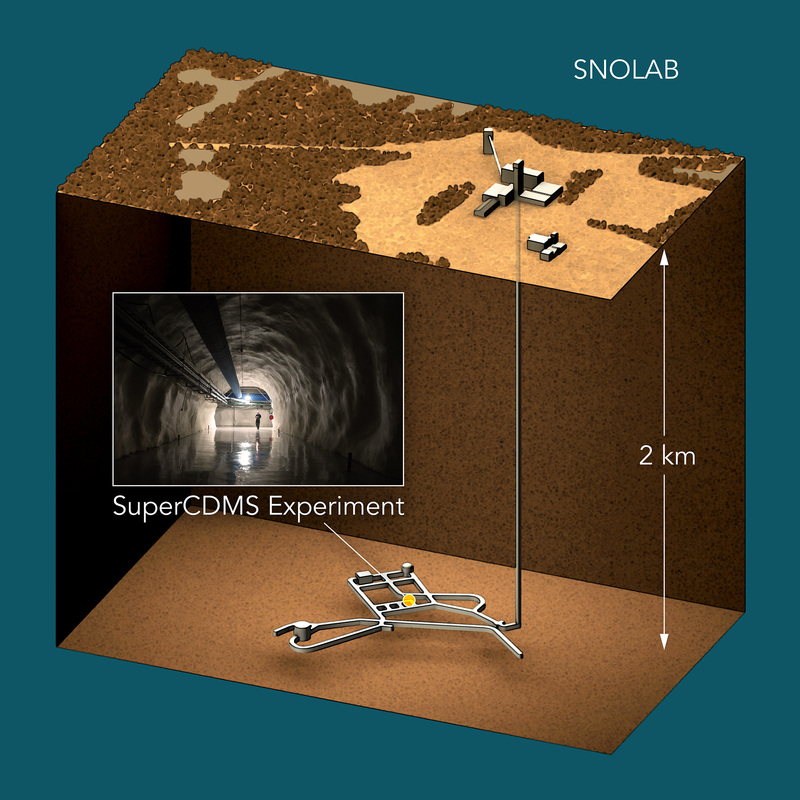 The SuperCDMS dark matter experiment will be located at the Canadian laboratory SNOLAB, 6,800 feet underground inside a nickel mine near the city of Sudbury. It's the deepest underground laboratory in North America. RICHLAND, Wash. — Scientists at the Pacific Northwest National Laboratory are key contributors to a massive international experiment that will search for the majority of matter — origin unknown — in the universe. Physicists and chemists at the Department of Energy national laboratory brought their expertise in low-radioactive background detection to the SuperCDMS experiment, which will search for a postulated form of dark matter known as weakly interacting massive particles or WIMPs. Since WIMPs barely interact with other particles, detecting them is especially difficult, and reducing or filtering out the many signals that aren't relevant is important. That's one reason why the SuperCDMS detector will be located at SNOLAB, a laboratory 6,800 feet underground inside a nickel mine near the Canadian city of Sudbury — so deep that cosmic rays cause minimal disruption. PNNL scientists have played an important role designing the SuperCDMS detector, helping to reduce as much as possible the signals given off by the detector materials due to trace levels of naturally occurring radioactivity. Materials used in common electronics aren't appropriate for SuperCDMS; PNNL researcher John Orrell estimates the natural radioactivity of materials in a typical cell phone, if used in the experiment, would produce roughly a million times more unwanted background signals than the design being pursued by the SuperCDMS collaboration. The PNNL team is performing an exhaustive and ongoing analysis of the materials used in the detector, customizing them to reduce the background events and allowing the detector to record potential WIMP signals more effectively. PNNL scientists involved in SuperCDMS are Isaac Arnquist, Ray Bunker, Eric Hoppe, Ben Loer, John Orrell and Maria Laure di Vacri. To read more about the SuperCDMS experiment, see the news release from the Stanford Linear Accelerator Laboratory.